Alzheimer’s Disease is the most common type of dementia. 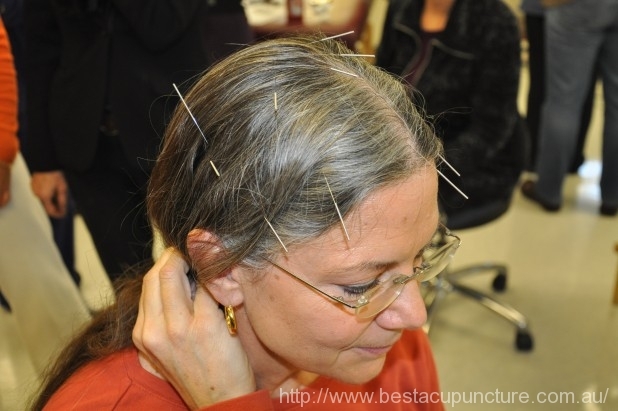 And acupuncture benefits Alzheimer’s disease patients, as recent research shows. Six randomized controlled trials (RCT) in the recent meta-analysis found that acupuncture is more effective than drug therapy in treating Alzheimer’s disease. And it has no severe adverse events occurred. As a result, the researchers conclude that acupuncture is a safe treatment modality for Alzheimer’s disease patients. Alzheimer’s Disease (AD) is the most common type of dementia. And donepezil is a cholinesterase inhibitor commonly used by Western medicine doctor in the treatment of Alzheimer’s disease related dementia including cognitive impairment, personality changes, and memory disorders. Taking orally, it is used for improving memory, focus, communication, functional activities, and mental clarity. Six out of ten RCTs found that acupuncture combined with donepezil more effective than only donepezil. The Mini Mental State Examination (MMSE) scores improved significantly when adding acupuncture to the drug treatment regime. The MMSE helps to diagnose dementia and assess both progression and severity. The exam tests cognitive abilities including memory, attention, and use of language. It is a short exam consisting a basic questions. Patients are asked the year, month, ability to identify a simple object, copy a simple pattern, follow a simple command, repeat a statement, etc…. A poor score on this exam indicates cognitive impairment. Ten RCTs consisting of 585 patients met the meta-analysis inclusion criteria. This was sorted from a total of 1,324 studies that included 77 RCTs. Three of the accepted studies used electroacupuncture and seven used manual acupuncture. The period of treatment duration was from four to twenty-four weeks across the accepted studies. Two acupuncture points were the most common in the studies: DU20 (Bai Hui) and ST36 (Zu San Li). SP10 (Xue Hai) and Si Shen Cong (EX1) were also frequently administered although not as frequently as DU20 and ST36. The researchers note that “the treatment of AD with acupuncture was clinically meaningful with respect to improving cognitive function.” Drugs evaluated in the meta-analysis included donepezil, almitrine, raubasine, dihydroergotoxine, nimodipine, and piracetam. Four of the randomized controlled trials found acupuncture “superior to drugs.” The researchers add that the results are “meaningful for clinical practice” and the data indicates “that acupuncture may be better than drugs and may enhance the effect of donepezil in term(s) of improving the cognitive function of AD patients.” In addition they note, “Acupuncture might also be more effective than drugs in improving the ability of daily living of patients with AD. Moreover, acupuncture is safe for treating patients with AD.” The results are promising and indicate that future research is warranted to confirm the findings. The researchers suggest rigorous randomized controlled trials with large sample sizes and reporting of hippocampal volume. There is no known cure for Alzheimer disease in Western medicine. The findings indicate that adding acupuncture to drug therapy improves cognitive functioning for AD patients. The results are hopeful in the fight against this trying and difficult illness. Laboratory results indicate that acupuncture benefits the brain and protects it from Alzheimer disease pathogenesis. A study published in Neural Regeneration Research shows that brain structures are preserved by the application of electroacupuncture and moxibustion. Acupuncture was applied to acupoints DU20 and BL23 on laboratory rats with induced AD. Electron microscopy revealed that the rats treated with electroacupuncture had a preserved structure of the brain, the hippocampus. The researchers note that “neuronal cell injury was markedly reduced” as a result of acupuncture. The control group that received no acupuncture or moxibustion showed severe damage to the hippocampus. In addition, electroacupuncture and moxibustion successfully downregulated axin protein expression and upregulated beta-catenin protein expression. Here I would like to share a most recent case of Alzheimer’s disease treated with acupuncture and Chinese medicine in our BEST Acupuncture & Chinese Medicine clinic (Forest Hill, Melbourne). She had menopause at her 50-51 yo and had been emotional turbulence /mood swings and felt stressed and depressed. And since then her memory declines. She was diagnosed as Alzheimer’s disease about 1 year ago and started taking Ebixa (1 tablet/day), but her condition has not been improved but worsened. At the time she was brought to our BEST Acupuncture & Chinese Medicine clinic by her son, she needs assistance in her daily life like cooking, dressing, etc. And she has difficulty in everyday conversation and the initial consultation was conducted with assistance of her son. She has depressive emotions about once a week, upset and cries because of forgetting things. And she has migraine (left side) and lower back pain (GV4 and BL23 area). Her energy level is low, tired easily. Her appetite is good, and bowel motion and urination are normal. She feels thirsty easily and drinks a lot of water according to her son (she didn’t know how much water she drinks). In general, she has aversion to cold and prefers to warmth, but sweats easily, and has night sweating. Her sleep is okay but dreamy. She is obese with weight of 108kg and height of 155cm. She has flushed complexion, and lack of spirit in her eyes. Her pulse: taut & slippery at right guan, thready at left cun, taut at left guan, and deep at both chi position. Her tongue: red tongue body with thick greasy yellowish tongue coat, red tip of tongue. Her syndrome in CM was diagnosed as phlegm-heat with Kidney yin & yang deficiency. And she was treated with acupuncture once a week combined with Chinese herbal medicine, the acupuncture points used include GV20, Si Shen Cong, ST36, ST40, etc, and the herbal formula was modified Wen Dan Tang with additional herbs like Yuan Zhi and Shi Chang Pu. On the second visit, her son said that after the first treatment he noticed that she was happier, less stressed and more fluent & relevant in conversation. The subsequent treatments were similar to the initial one with small changes based on syndrome differentiation. And her condition has been getting better after every session. Her two sons are very happy with the progress that acupuncture and Chinese medicine treatment has made. By the time of this article, she has just had the 4th treatment and will continue the Chinese medicine treatment. Melbourne acupuncturist & Chinese herbalist Dr. Rayman Wu is a fully qualified acupuncturist and Chinese herbal medicine practitioner. 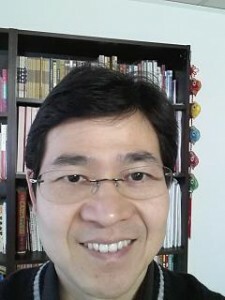 He has special interest and substantial experience in treating dementia and Alzheimer’s disease.